I am nearing the end of my 6 month trial membership of RocksBox, so I thought I'd share two more of the jewelry sets that I test drove. Never heard of RockBox? It's a monthly subscription program that lets you try out three pieces of designer jewelry at a time for $19 monthly. You can purchase any of the pieces, or send them all back in your prepaid envelope, and a new set is sent shortly. 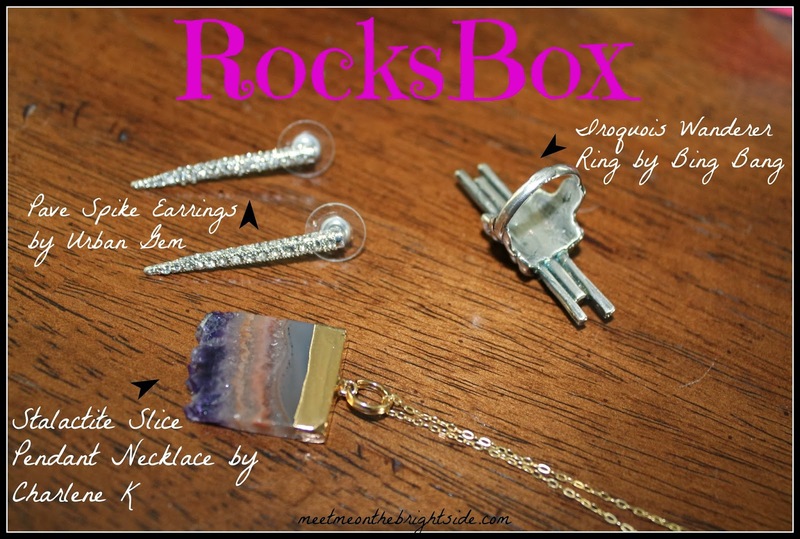 Check out, my first RocksBox . 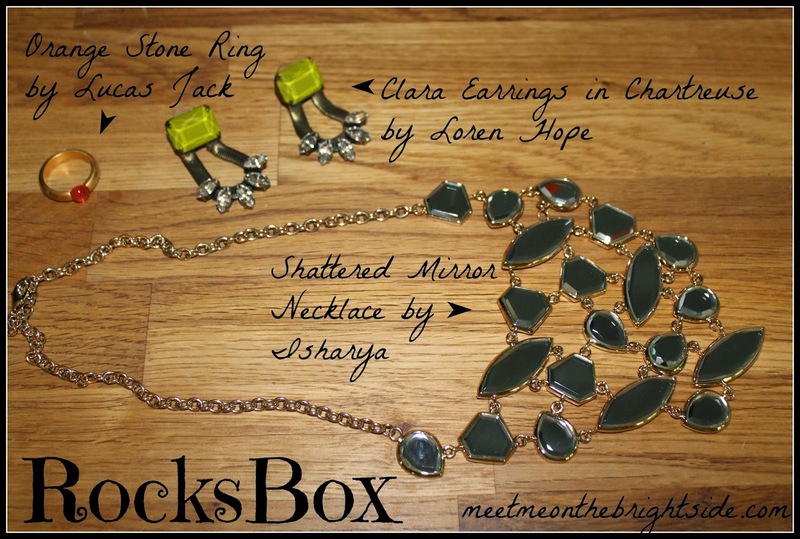 This was one of my favorite boxes, I loved the Clara earrings and Shattered Mirror necklace! The necklace was definitely a statement piece! I really liked the pieces in this box as well! The Iroquois Wanderer ring was a tad too big so the weight of it always made it fall to the side, it was my least favorite of the three pieces. The Pave Spike earrings and Stalactite Slice Pendant necklace were both very pretty, wearable pieces. Overall, I have really liked many pieces from my RocksBox sets. It's fun to wear and discover new items. New sets get sent quite promptly, after old ones are sent back. The biggest downfall I find is that the purchase price of the individual pieces, although you get a 10% member discount, is quite pricey. For example, I really loved the Pave Spike earrings from the fifth set, but to buy it would cost $62.40. That's after the discount too! Original price is $78. The ring? $70.40! Sadly, that's just not in my budget at the moment. Have you tried RocksBox? I'd love to hear your thoughts…. 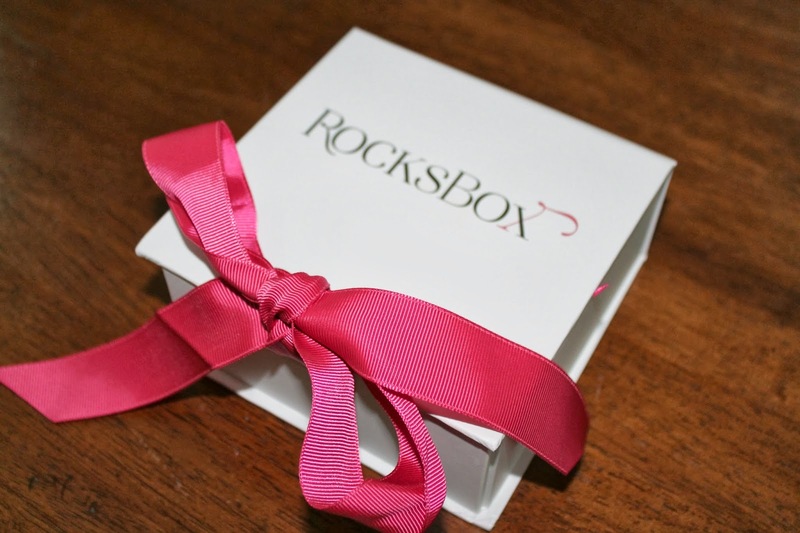 Disclosure: I was gifted a 6 month trial membership to RocksBox for review purposes from iFabbo. Those pieces are very cute! I love the necklace and your eye makeup is gorgeous! Rocksbox sounds like so much fun! I haven't been much of an accessories person lately, but I used to be. This sounds like a great way to get back into wearing them. That Iroquois wanderer ring is probably my favourite out of everything you got, even though it's your least. I'm a sucker for big chunky rings and anything silver. I've never heard of this subscription service but I love the pieces! Especially the necklaces! I'm knew to blogging but would love if you checked out my site. Just starting to do a lot of fashion stuff!